Patch cables have the potential to be the weakest link in copper and fiber optic network infrastructures. It is essential to follow correct procedures in administration of copper and fiber patch cables to achieve optimum performance and reliability. Applying best practice at every stage will also minimize costs related to moves, adds and changes. The principles of good cable management for fiber patch cables are similar to those for copper network patch cables. However, there are special considerations with fiber cabling, and extra care is needed in some areas. Best practice in managing fiber patch cables can be divided into four parts: planning, preparation, patching, validation. Administration activities are initiated with a change request. The change request must contain all necessary information to begin the planning process. Once a request form is received, search the records to be sure of the circuit path. The floor plans provided by the system designer should show backbone/riser cables, TRs/FDs and lOs. Any changes or additions made since your cabling infrastructure was installed should also have been documented. If the records are stored in a database, a different screen can be displayed for each user. This screen should supply you with the information you need, including the riser and horizontal fiber pairs serving the particular WAO and the locations of available fiber. Make sure you know the specifications and design of your fiber cabling. Ensure you have patch cables matched to the installed cabling, since optical fiber patch cables of different types (LC, SC, ST etc.) should not be mixed. The first step in choosing a cord of the correct length is to determine the best route between its points of connection. This is usually the shortest route through horizontal and vertical cable pathways that does not obstruct or interfere with other cords and connectors on the panel. Avoid running cords through cable pathways that are already congested. Having established the best route for the cord, find the required length by adding the horizontal and vertical distances. When selecting a cord to make a cross connection, avoid excessive slack and provide a neat appearance. Tight cords will pull on connectors and too much slack complicates cord management, making the panel more difficult to work on. Ensure you have cords of the right length available and that panels are fitted with correct cable management accessories. In general, a horizontal patch cable management guide is needed for every two rack units, depending on the type of optical patch panel or Lightguide Interconnect Unit (LIU). At the optical patch panel or LIU, route patch cables equally toward both sides of the vertical cable management channels to prevent overloading one side. Take care not to mix up cords of different core diameters. Additionally, cords must be of the same or higher bandwidth as the behind-the-wall cabling. System performance regarding distances cannot be guaranteed if lower rated patch cables are used. 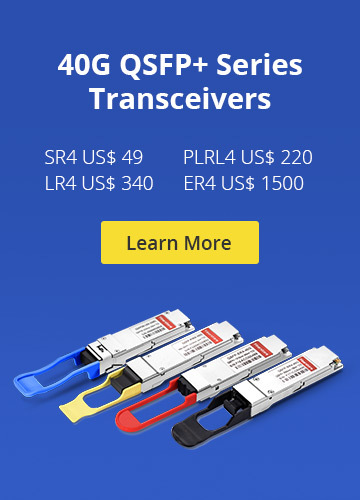 Color-coding of connectors for different fiber standards make it easy to avoid confusion. Fiber patch cables must use the same core diameter as the trunk cable. A large attenuation penalty will occur when using a 62.5μm patch cable with a 50μm trunk cable fiber or vice versa. Single mode fiber patch cables should use fiber with the same Mode Field Diameter as the trunk cable fiber. Factory-terminated cords guarantee fiber patches with optimum performance. Field polished cords are not covered by warranties and are likely to deliver lower performance and variable quality. The lasers that carry information through fiber cables may cause irreparable damage to the retina. Always avoid looking directly into an energized optical fiber, and never attach a microscope or other magnifying device to an energized optical fiber. Always wear appropriate eye protection and ensure that unused ports are covered. To minimize disconnect time, do as much preparation as possible before performing administration activities. Locate the ports that must be connected or reconnected. Ensure technicians have clear information on what they need to do, including labeling information for the ports involved. Once work on a panel is started, it should be completed without delay using best practice at each stage. Cord Handling: Kinks, snags, pinches and poor contacts can dramatically reduce the performance of a fiber patch cable. The following factors are important in avoiding these problems. The minimum bend radius for optical fiber patch cables varies with cord diameter. For 1.6 mm and 3.0 mm cords the minimum un-loaded bend radius is 3.5 cm, and for MPO fiber cable, the minimum bend radius is ten times the cord diameter. Exceeding the bend radius can result in significant additional loss and adverse impact on channel performance. Be careful not to use excessive force during the patching process. This can stress cords and connectors, reducing their performance. If you need to use force in pulling a cord, something is wrong. Find the problem and fix it before proceeding. Bundling and tying cords gives the panel a neat appearance but tight bundling increases the risk of pinching. Do not tighten ties beyond the point where individual cords can rotate freely. Use only products manufactured for this purpose, and consider the use of products that can be re-used without the use of tools such as “hook and loop” strapping. If the existing cord is the right length, it may be possible to re-use it. If this is the case, remove the cord completely and re-run it in through the cable pathways. This is the only sure way to ensure there are no tangles, kinks or strains in the cord. Patching must be right first time since mistakes can cause costly disruption and re-work. The time taken to make a final visual check on connections is a good investment. When patch panels are mounted in enclosures, ensure these are securely closed and, where necessary, locked, making sure that cord slack is not snagged or pinched by the doors. The final step is to update the documentation to the as-built configuration and close the work order associated with the completed change request. 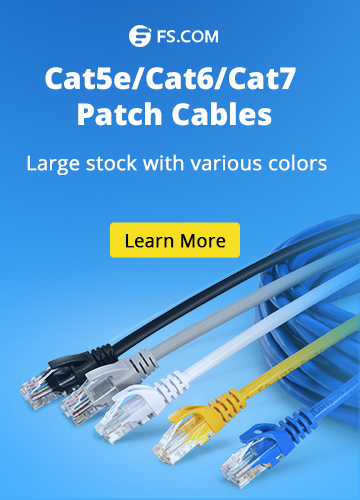 Cables Management, Fiber Cabling Cable Management, fiber cabling, Fiber Patch Cable, fiber patch cords. permalink.